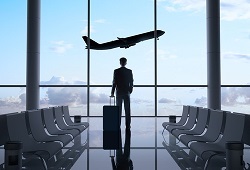 How Can You Use Extra Frequent Flyer Miles? Airlines are looking for new ways to earn your loyalty. While flights were once the primary way to redeem your frequent flyer miles, many carriers now offer a variety of options when customers are ready to cash in. While larger companies – like Delta, American and United – have more choices, smaller companies still have a lot to offer. So you’ve booked your flight, and you have miles left over. Besides the obvious, how should you use them? The ability to purchase upgrades with miles is a staple of frequent flyer programs. However, many airlines are now allowing customers to redeem miles for other benefits, like use of airport lounges. For 40,000 points, members can access Hawaiian Airlines’ Premier Club lounges. Hotel stays. Many US carriers are partnered with at least one hotel chain that accepts their miles as payment, and major carriers – like American and United – will allow you to cash in points at a variety of hotels, through their Kayak-like site, often for 20,000-30,000 points. And if you can’t pay for a stay with miles, booking at affiliated hotels may earn you bonus points. Frontier’s EarlyReturns members earn bonus miles with La Quinta, Marriott and Wyndham hotels, among others. Car rentals. As with hotels, your car rental options depend on the size of your carrier. Larger carriers support multiple pick-up locations and rental agencies at a number of mileage levels, often between 5,000 and 15,000. Smaller carriers provide fewer choices. And even smaller carriers may offer discounts and bonus points for booking with a particular company, like AirTran with Hertz. Tickets to attractions. If you’re trying to pick an itinerary, why not prioritize places you can go for free? HawaiianMiles users can buy tickets to Gray Line Polynesian Adventure Tours for between 5,500 and 21,000 points. Delta’s SkyMiles Medallion members can redeem points for tickets to Broadway shows. Other carriers, like American, offer discounts if you purchase tickets through their site. Merchandise. Though limited mostly to major carriers, some airlines now let customers redeem points for small electronics and other household items, sometimes even food. Smaller carriers that do offer this service, like Alaskan and Hawaiian, may have a much smaller selection of items. Newspapers and magazines. If you’re hard-up for reading materials, magazines and newspapers are an almost-ubiquitous way to use up small numbers of points. JetBlue’s True Blue members can read a year’s worth of The Economist for 3,200 points, or People for 1,900 points. Concerts and other events. Like merchandise, exclusive member events and auctions are mostly limited to major carriers. Customers bid on sought-after seats at concerts or high-profile sporting events, resort stays, or celebrity events. American Airlines AAdvantage members recently won a VIP package at the American Music Awards for 347,000 miles and tickets to a celebrity golf weekend for 311,000 miles. Gift cards. Although it’s less common, some carriers allow customers to redeem miles for gift cards. For example, 12,500 MileagePlus miles can get you a $100 at the Gap, REI or Wine.com. Donation. Almost all airlines allow customers to donate their miles to partnered charities. Most airlines work with big-name organizations like the Red Cross, which uses miles to fly volunteers to carry out disaster relief efforts; some have additional partners. Alaskan Airlines customers can donate to The Nature Conservancy, and donations to United Airlines can support Guide Dogs for America, among others. Gift or transfer. It’s also possible to gift or transfer your points. The specifics vary by carrier, but if you don’t want to take another trip, you might know someone who does. If you have extra points after you’ve booked your flight – or if you can’t find a flight, and are looking for other options – you have more flexibility than ever. However, it’s also more work to choose between programs. If you’re deciding to which airline you should pledge loyalty, read up on their program rules, restrictions and benefit options before signing up. Do keep in mind, though, that flights are still the best value-per-mile. Always consider the retail price of whatever you’re buying with your points, and whether you’d be better served by buying it with your credit card, and using the points for another flight. The best way to use your miles is almost always to fly; consider these options as a way to get rid of excess miles, not your defaul.